Tower of the John Pitkin Norton House, one of Austin's most developed works. Henry Austin was particularly enamored of the so-called candelabra columns and introduced them into the American architectural vocabulary. These examples are from the Dana House in New Haven. Indian architecture made a deep impression on Austin and found its way into much of his detail work. This is the porch from the Willis Bristol House in New Haven. After the 1860s, Austin's style changed with the times, incorporating structures in the Second Empire and Stick styles. In 1868, he constructed two Second Empire houses on Prospect Street in New Haven for Oliver Winchester and David Russel Brown. The Winchester House has been demolished, but the Brown house remains, having been restored by Yale and renamed the Betts House. Austin's son, Fred, joined his father's practice in later years, but the firm did not survive long after Austin's death. Throughout his later years, Austin maintained control of his firm and was famous as he aged for wearing a dark brown wig. He was the chairman of the Board of Commissioners of Public Buildings in New Haven at the time of his death; he also served on the New Haven city council in 1854 and belonged to the Masons for fifty years. For an image of the only photograph that was taken of Austin:  In recent years, curiosity has been raised about Austin's professional relationship to his New Haven contemporary, Sidney Mason Stone, but, other than minor references to civic duties they shared, there seems to be little documentation available to fuel such an inquiry. 1840 Wallingford CT Samuel Simpson House. (Also known as the Simpson Taber House) Austin designed this Greek revival house early in his career. Although the form is relatively straightforward, some of Austin's styling can be seen in the window surrounds. 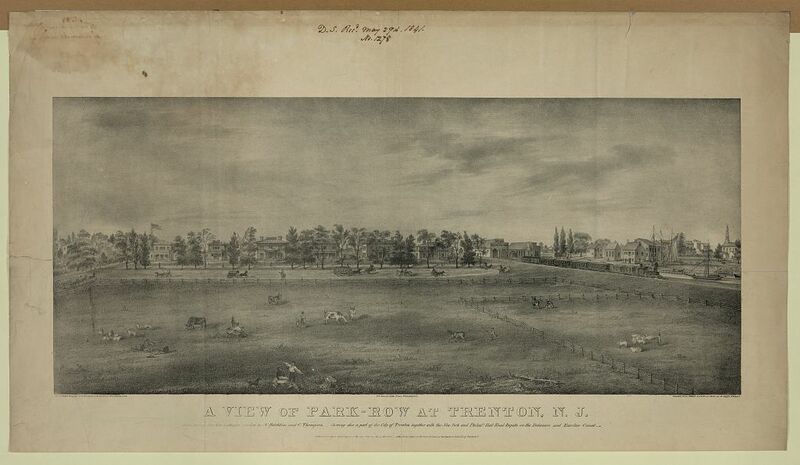 1840* Trenton NJ Park Row. Austin in concert with Nelson Hotchkiss designed six, mostly Italianate villas for Hotchkiss' development in Trenton. The two architects seem to have collaborated in the designs, but, since the homes have been demolished, it cannot be determined how they reflected Austin's design proclivities. 1845 New Haven CT, Wooster Square Willis Bristol House. An Italianate villa with striking Moorish/Indian design elements including candelabra columns, Moorish window lambrequins, and uniquely paned windows. 1845 New Haven CT, Wooster Square James E. English House. An Italianate villa; the house has delicate candelabra columns, atypical of other Austin works. The porch displays a delicate, gothic quatrefoil balustrade. The third story is an addition to the original design from 1876. 1845–1848 New Haven CT, Hillhouse Avenue James Dwight Dana House. Now owned by Yale University. The house is an Italianate villa with detailing influenced by Indian precedents, such as the candelabra columns on the porch. The house also has an elaborately carved belvidere on the roof and drops bordering the heavy cornice. 1842–1845 New Haven CT Yale University Library now Dwight Hall. This symmetrical, brownstone, Gothic revival building was built as a library for Yale University. The tall central Gothic hall originally contained balconies with book alcoves, as did the side wings of the building. It was probably based on King's College Chapel in Cambridge, although the many tall pointed spires were not constructed as planned. In 1931, the building was adapted for use as a chapel and the interior altered to accommodate worshipers. 1848–1849 New Haven CT Grove Street Cemetery Gates, 1848–1849. Austin designed the gate in Egyptian revival style with papyrus-bud capitals. 1848–1849* New Haven CT New Haven Railroad Station. This station incorporated Italianate and Moorish revival styles. It was converted into a market in 1874 and was destroyed by fire in 1894. 1850* Wallingford CT Moses Yale Beach House This large, symmetrical Italianate villa included a columned veranda with thick candelabra columns, Austin's typical chamfered window surrounds and vegetal decoration on the belvedere. It was demolished in the 1960s. 1850 New Haven CT, Wooster Square Nelson Hotchkiss House This was the first house Austin designed for Nelso Hotchkiss with whom he had worked closely. The windows are surrounded by Austin's signature, notched surrounds. The house also features a delicate canopy over the central three part window. This house is part of a series of villas Austin designed on Chapel Street. 1850 Plainville CT Congregational Church. This church was designed by Austin with a mixture of Italianate and carpenter gothic detailing, featuring a tall spire positioned to the side of the nave. 1850s New Haven CT, Hillhouse Avenue Aaron Skinner House. This house, built in 1832 the Greek revival style by A. J. Davis, was significantly altered by Austin in the 1850s by the addition of second stories to the side wings. Austin's work can also be detected in the characteristic window surrounds and canopies. 1852* New Haven CT Townsend City Savings Bank. One of Austin's most important commercial commissions, this bank was a three bayed, flamboyant Italianate brownstone structure. The interiors, as evidenced in HABS photographs featured elaborate door surrounds with Austin's typical floral embellishment and frescoes. The bank was demolished in the 1970s. 1852 New Haven CT, Wooster Square Oliver B. King House aka Jonathan King House. This is an impressive, irregular Italianate villa, based on Downing's works, which is part of Austin's Chapel Street project. The house is characterized by its strong central tower around which the masses of the house are arranged as well as canopies and balconies characteristic of Austin. The house has been altered by the addition of a third floor and refenestration in the right wing. 1854 New Haven CT, Wooster Square Hotchkiss-Betts House. Another Italianate villa on Chapel Street, the second house built for Austin's collaborator on several projects, Nelson Hotchkiss. The house features bowed bays and a central door with an elaborate double height porch, utilizing Gothic and Indian design elements with candelabra columns. 1855 New Haven CT Young Men's Institute now the Palladium Building. An attractive four-bay Anglo-Italianate/Renaissance Revial building, the ascription to Austin has never been proven but seems very likely. 1857 Seymour CT Trinity Episcopal Church. This church was built by Austin using the existing frame of the older church in the Italianate style. The original spire and Victorian interior decoration have been replaced by simple colonial revival designs. 1858 New Haven CT, East Rock Lafayette B. Mendel House. This small Italianate design uses classical architectural elements and is a National Historic Landmark. 1858–1860 Portland, ME Morse-Libby House (Victoria Mansion). This asymmetric brownstone Italian villa has a four-story tower, ornate carvings, deep overhanging eaves and graceful verandas. Considered to be one of Austin's most significant works, it is constructed of Portland brownstone and displays heavy, opulent classical detailing, which is far less eclectic than many of his earlier designs. The interiors were designed by the Herter Brothers. It is now a museum. 1860 New Haven CT New Haven City Hall This polychromatic Victorian Gothic structure bordering the New Haven Green with clock tower and tall iron staircase was one of Austin's most important works in New Haven. Many decorative motifs and varieties of stone were employed to give the building a colorful, Venetian effect. The design might have been based on a project for a "metropolitan hotel" published in The Illustrated London News in 1859. The remains of this building (much of it was demolished in 1976) are now incorporated into the new City Hall, built in 1986, which abstractly extends the façade. Austin's tower was demolished in the 1950s but reconstructed in the 1980s. 1868 New Haven CT John M. Davies House now Betts House. Designed with David R. Brown, and now owned by Yale University. This 20,000-square-foot (1,900 m2) Victorian (French Second Empire style) mansion is on the National Register of Historic Places. Originally the home of John Davies (an associate of Oliver Winchester), it subsequently housed the Culinary Institute of America. It is now home to the Yale Center for the Study of Globalization. The building was extensively restored by Yale in 2000–2002 after neglect and a fire (in 1990) had caused damage. 1868* New Haven CT Oliver Winchester House. Austin designed this vaguely second empire house next door to the Davies House for Oliver Winchester. The house employs the same massing, but the detailing is more elaborate, including polychrome mansard roofs, distinctive pediments, and balconies. The house has been demolished. 1871–1872* New Haven CT Hoadley Building. This three story Second Empire Building once stood at Church and Crown streets and may have been one of Austin's first significant commercial designs in this style. The building has been demolished. 1877 East Hampton CT Second Congregational Church. This church, built in 1855, was dramatically redesigned by Austin in 1877 in the carpenter gothic style with elaborate overhangs, window frames and gothic millwork. ^ a b "Henry Austin", International Dictionary of Architects and Architecture. St. James Press, 1993. ^ Brown, Elizabeth Mills (1976). New Haven: A Guide to Architecture and Urban Design. New Haven: Yale University Press. ^ http://historicbuildingsct.com/?tag=henry-austin&paged=3. See also HABS documentation https://www.loc.gov/pictures/item/ct0063/ The house is on the NRHP. This page was last edited on 3 December 2018, at 03:20 (UTC).